Prasit Rodphan/ShutterstockDon’t wait until the last minute to book your ticket. 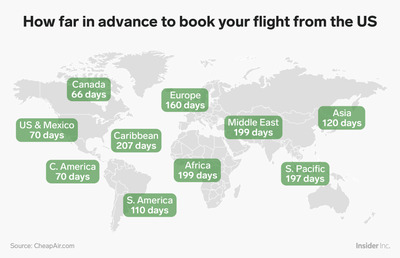 The best time to book a flight depends on where you’re travelling. CheapAir analysed airfare trends and found how far in advance you should book flights to each region. For flights from the US to the Caribbean, you should book almost seven months in advance, while 66 days is enough time for flights to Canada. Experienced travellers know not to wait until the last minute to book international flights. Although every once in a while you might find a miracle deal at the eleventh hour, for the most part, waiting until the last minute usually ends with you paying significantly more than if you had booked earlier. But when exactly is the best time to buy for the cheapest airfare? The answer, it turns out, depends on which region of the world you’re travelling to. 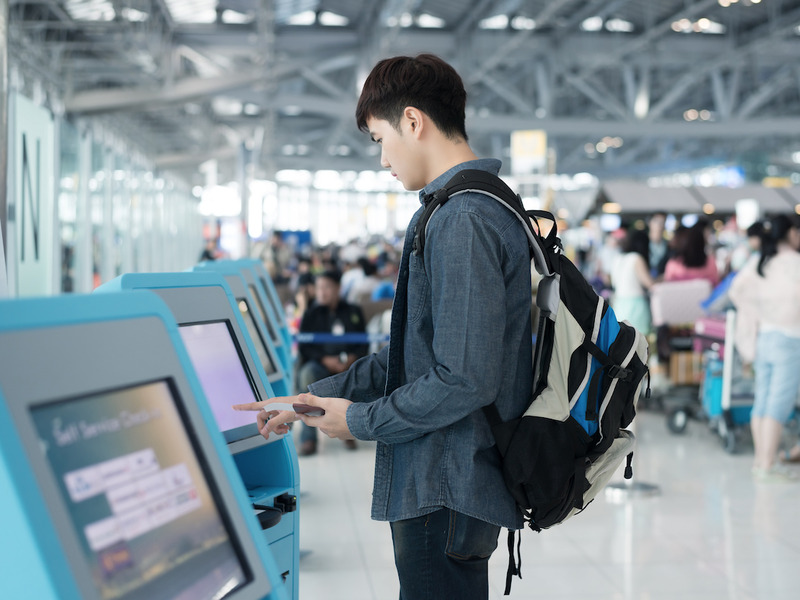 Budget travel site CheapAir analysed years of airfare trends and found the best time to book flights from the US to each region of the world. CheapAir found that for domestic flights or for flights to Canada or Mexico, you can safely wait until just about two months before without airfare climbing to lofty heights. Meanwhile, if you’re planning on travelling to the Caribbean, the Middle East, or the South Pacific, you’re best off booking a full six months or more in advance. Check out the graphic below to see when you should book your flight from the US.